Availability of any rooms on Saturdays during school terms is very limited due to regular hires. We are also unable to take bookings on Sundays before 2pm (we do need space for worship!). 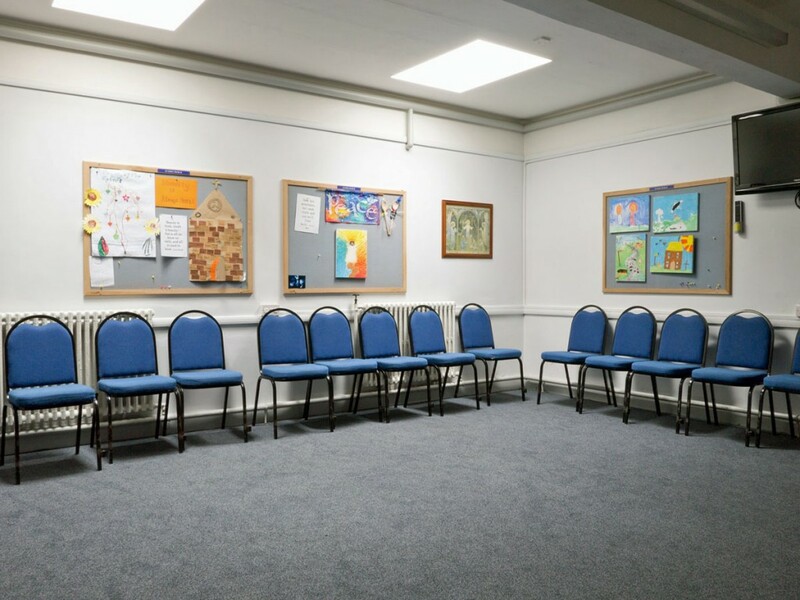 The Main Hall is generally booked out on Sunday afternoons, but other rooms and the church are usually available. 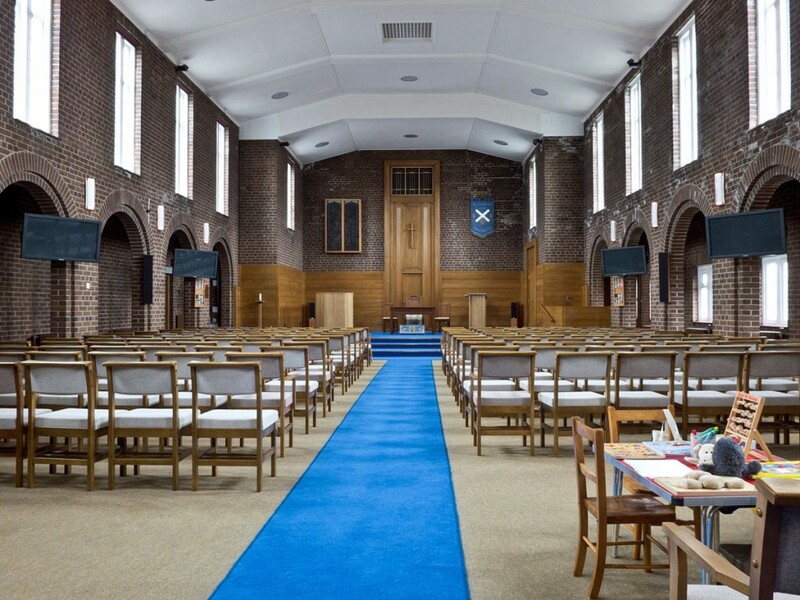 We have a 6 rooms available for hire, including the main church. 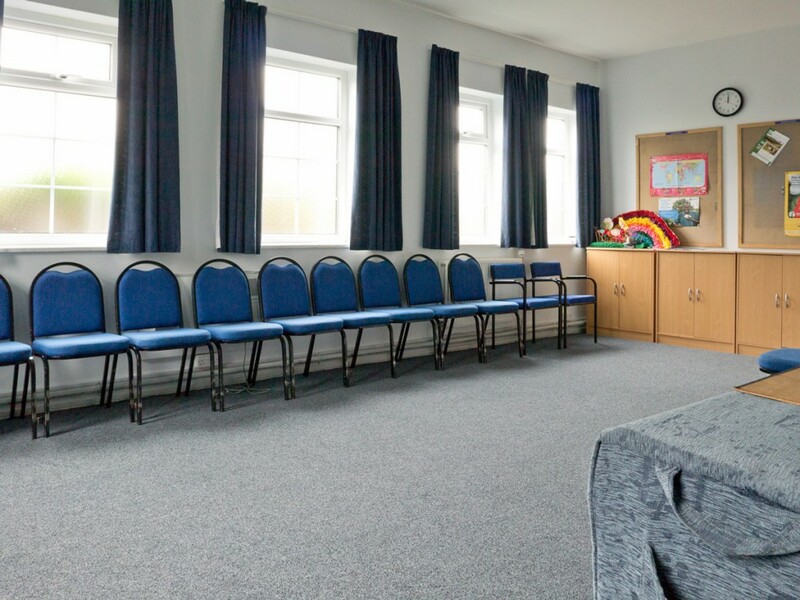 The majority of rooms are fully wheelchair accessible and many have audiovisual facilities, with induction loops for the hearing impaired (use is subject to arrangement at time of booking). 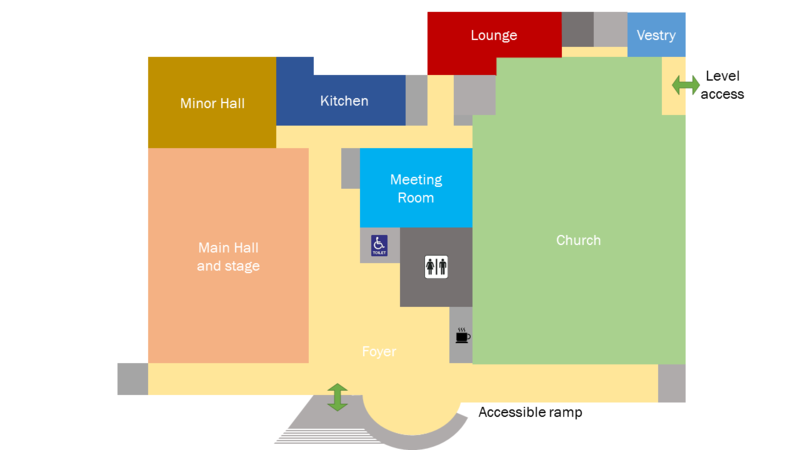 Below you will find a plan of the building with rooms and communal areas labelled. Click on each available room or communal area to get an overview and link to further details including pricing. All rooms have sufficient chairs for most seated functions. Additional chairs can be made available by prior arrangement. Small and Large Gopak® tables are available for use in the Main Hall, and other rooms by prior arrangement. 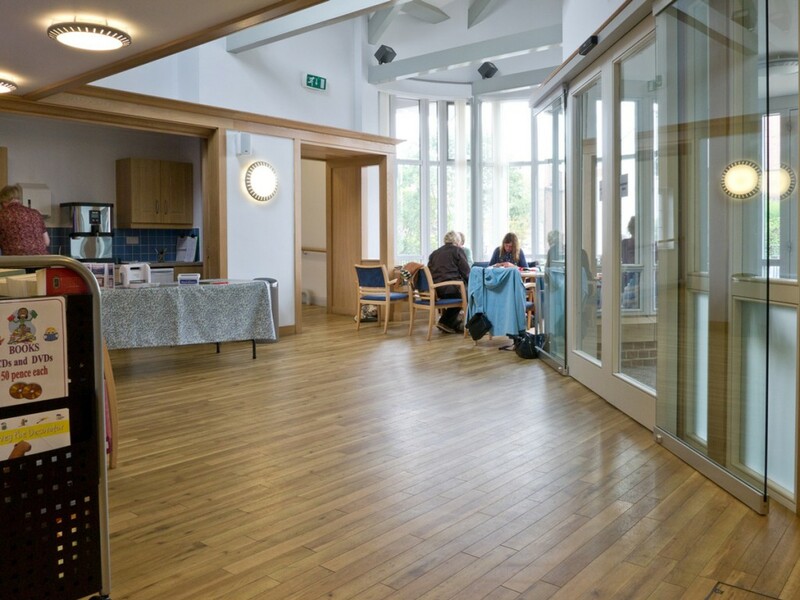 All hirers have access to the foyer, with its own seating, tea/coffee making facilities and toilets (including accessible toilet), and a fully equipped kitchen. Access to the church WiFi connection is also available on request. Note that at busy times access to these shared facilities may be restricted. Hire prices are per session, which currently are morning, afternoon and evening. Use of rooms across these sessions is subject to arrangement and may incur additional charge. 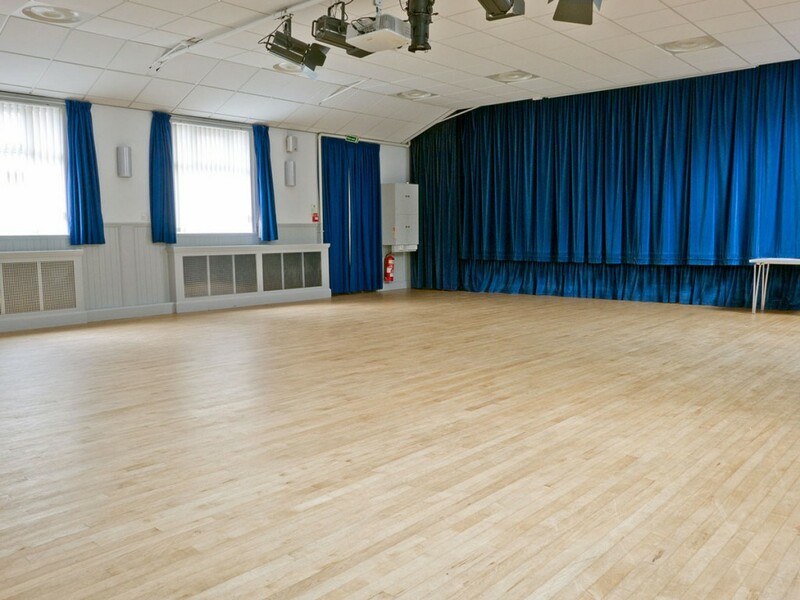 If you have any queries or particular requirements for hiring the facilities please contact the Hall Lettings Secretary. Full terms and conditions of hire are available here. 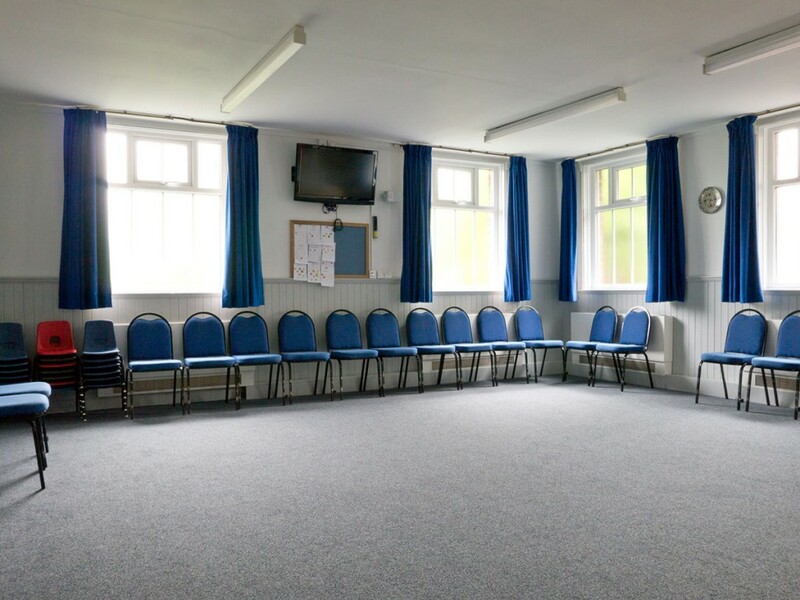 For any enquiries in respect of room hire, please check the Contact Us page. Hover mouse over rooms to see those available for hire. Click available rooms for overview and link to further details. 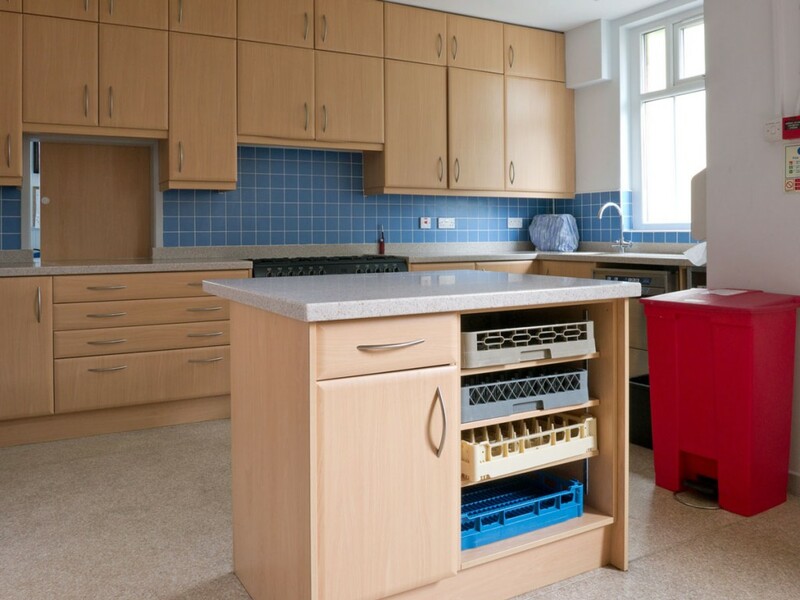 The fully equipped kitchen is available to all room hirers and is not available for separate hire or reservation. 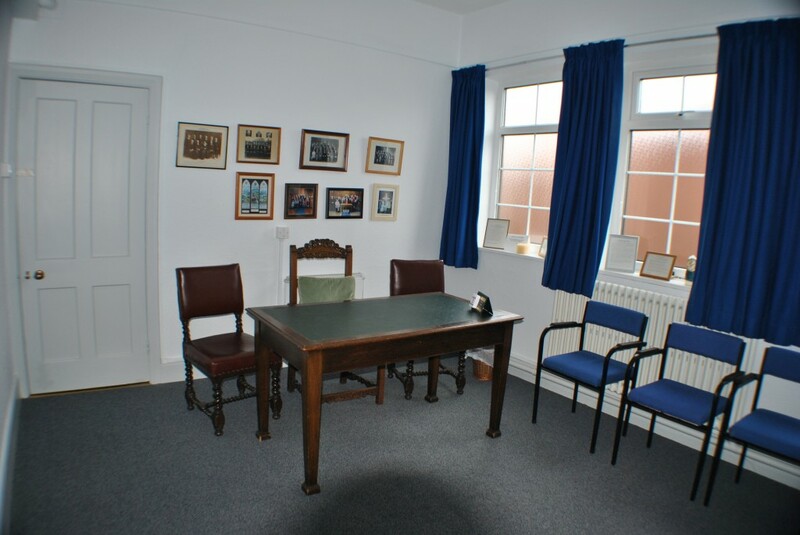 Open access to all room hirers and not available for separate hire or reservation.